He fixed me with a cool stare as the water streamed over and through his body, taking away the last vestiges of the things that made him whole. He continued to stare silently as I dried him, dressed him and placed him on his bed, his final resting place. After tucking him in, I bid Daniel a final farewell before shutting the door. When I opened it again, he was cooked and ready to eat. 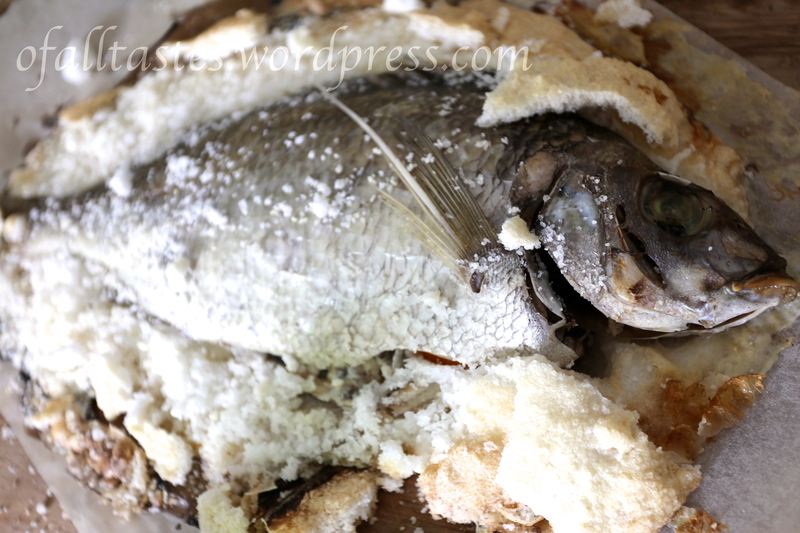 Of course, “Daniel” was the star of my Christmas lunch – a tarakihi fish baked in salt. Every year since I started taking an interest in cooking, I’ve used Christmas as a chance to try out recipes using ingredients or techniques I wouldn’t normally use. In 2012 it was honey mustard glazed ham. In 2013 it was “Pinchy” the crayfish. 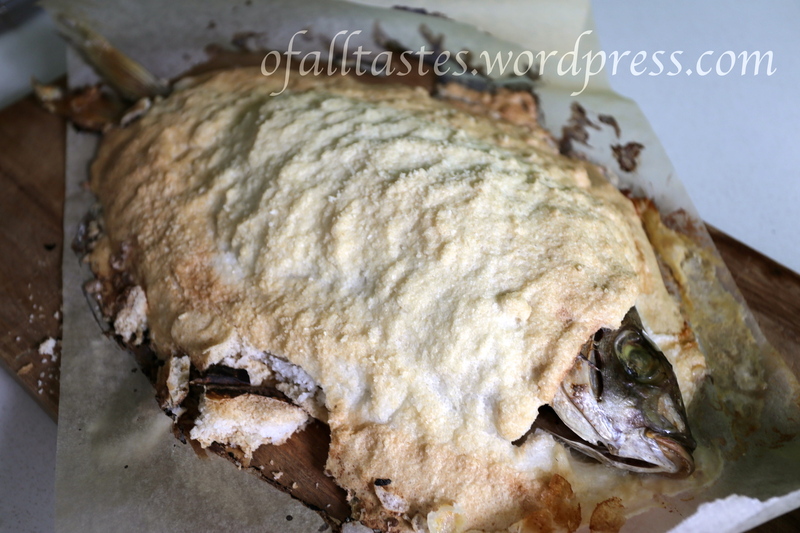 And in 2014, it was “Daniel” the salt-baked fish. The first time I saw the technique of baking something in salt was on one of last year’s episodes of My Kitchen Rules, where a team cooked beef in a salt casing. It’s an old technique that, as far as my extremely limited research has shown, probably originated in Carthage (north Africa). More commonly, I’ve seen recipes state that it’s an old Spanish or Italian technique of cooking. I debated whether salt-baking would be worth the effort and I’ve decided it really is. It produced some of the most tender, well-seasoned fish I’ve ever eaten and it really doesn’t require that much effort. Even the amount of salt wasn’t as ridiculous as I initially thought it would be. While recipes call for rock or sea salt (more expensive but preferred because the larger granules allow the salt mixture to form more easily), I found it worked perfectly well with a combination of table salt and sea salt. Here is the recipe I followed. Just a little tip: apparently it’s best to leave the scales on the fish, which is what I did, but some recipes make no distinction. The scales prevent the fish from being over-salted but if you’ve found this otherwise then do let me know! Have a go and take pleasure in cracking open that beautiful golden salt casing!